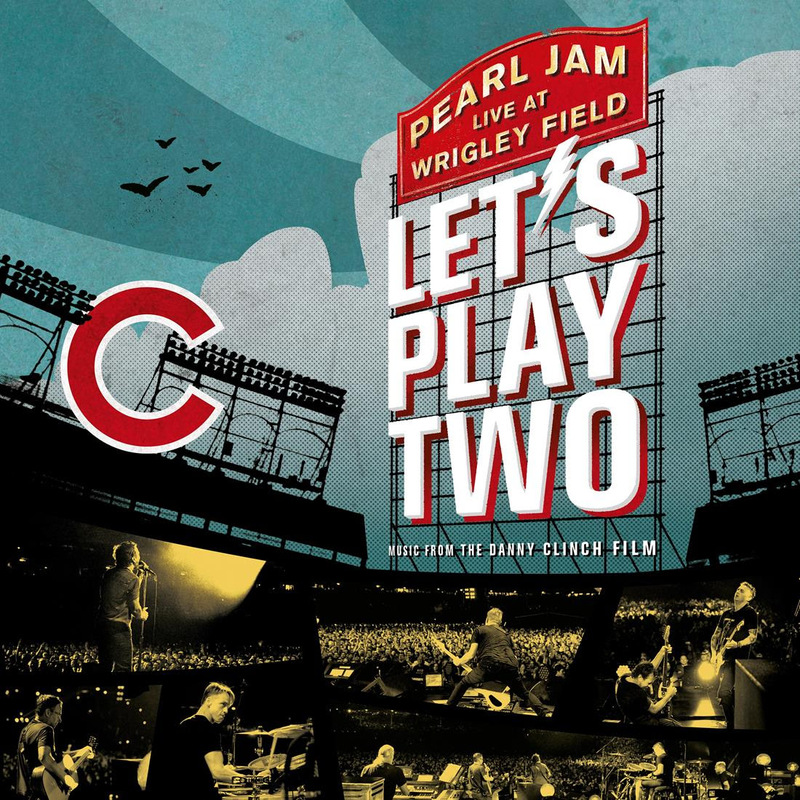 In celebration of the band’s legendary sold out performances at Wrigley Field on August 20 and 22 2016, during the Chicago Cubs historic World Series championship season, Pearl Jam is set to release documentary film Let’s Play Two and accompanying soundtrack album. Let’s Play Two is directed by renowned director/photographer Danny Clinch and produced by Monkeywrench Productions, Tourgigs Productions, Universal Music Publishing Group, Republic Records, FOX Sports and Major League Baseball in collaboration with Milkt Films and Polygram Entertainment. With Chicago being a hometown to Eddie Vedder, Pearl Jam has forged a relationship with the city, the Chicago Cubs and Wrigley Field that is unparalleled in the world of sports and music. From Ten toLightning Bolt, the feature film shuffles through Pearl Jam’s ever-growing catalogue of originals and covers, spanning the band’s 25-year career. 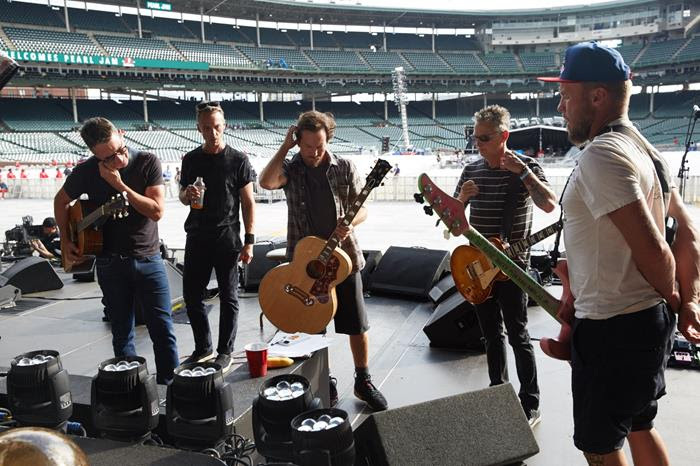 Through the eyes of Danny Clinch and the voice of Pearl Jam, the film showcases the journey of the special relationship, using the past and present of both the band and the Chicago Cubs through the music, the sweat and the eternal hopes of being both a Cubs fan and Pearl Jam fan. The soundtrack and home video of the film will be released globally by Republic Records, with the soundtrack released simultaneous to the film on September 29th and home video following with a release on November 17th. The soundtrack is available for pre-order now from here. The home video will be available for pre-order on September 29th. Director Danny Clinch and Milkt Executive Producer Lindha Narvaez have been a director/production team on film projects for 15 years including Pearl Jam live concert film Immagine in Cornice (2007) and various Pearl Jam EPKs throughout the years. Abramorama will release Let’s Play Two theatrically kicking off with week-long engagements in select markets worldwide starting on September 29th. Additionally, over 250 cities worldwide will host special one night only theatrical events starting on October 3rd. For a full list of cities, to purchase tickets and to sign up for more details on events to come visit www.letsplaytwofilm.com. This marks the third time that Abramorama and Pearl Jam have collaborated on a theatrical release. In 2007, Abramorama released Immagine in Cornice – Danny Clinch’s live concert film documenting Pearl Jam’s 2006 tour of Italy, and in 2011, Abramorama released Cameron Crowe’s retrospective documentary, Pearl Jam Twenty. Republic Records will release the Let’s Play Two soundtrack on September 29th in conjunction with the film’s theatrical release. The soundtrack will be released in vinyl, CD and digital formats. It is available for pre-order now from here. The home video of Let’s Play Two will be released by Republic on November 17th. More information on home video formats will be released in the coming weeks. PUP release the coolest video ever! An interactive, choose-your-adventure video for “Old Wounds”.